Deputy Sheriff Brandon Nielsen and Deputy Sheriff Jeremy Triche were shot and killed in LaPlace, Louisiana, by members of a domestic terrorist group known as the Sovereign Citizens. They were shot while investigating an earlier ambush shooting that wounded a sheriff's office investigator. The investigator was working an off-duty security detail at a remote employee parking lot used by a construction company at about 5:00 am when he was ambushed as he sat in his department vehicle. Responding units located a car they believed had been involved in the early shooting in a nearby trailer park. As Deputy Nielsen, Deputy Triche, and a third deputy questioned two men outside of a mobile home, a third man suddenly exited the home and opened fire with a semi-automatic rifle, striking all three deputies. Deputy Nielsen and Deputy Triche both died as a result of their wounds. Seven subjects were arrested and held in connection with both separate shooting incidents. 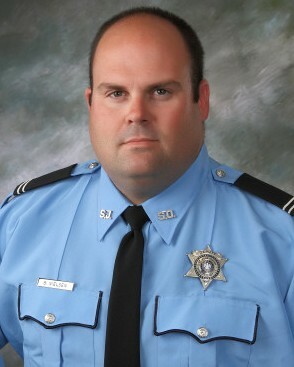 Deputy Nielsen had served with the St. John the Baptist Parish Sheriff's Office for one year and had served in law enforcement for 10 years. He is survived by his wife, five children, parents, and sister.